It’s a curious combo, right? It reflects our three distinct guests. 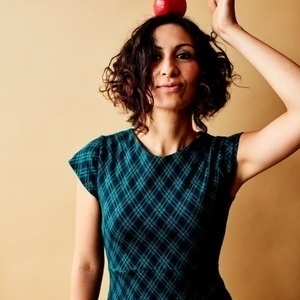 Yasmin Khan is the human rights activist turned food writer who is “challenging stereotypes of the Middle East, one pomegranate at a time.” She’s the author of The Saffron Tales and co-host of the online series The Perfect Dish. Diana Yen is the food stylist and founder of The Jewels of New York, the creative studio. She came by to talk holiday entertaining and even brought her famous bunny, Cleo. And for this week’s cookbook call in, Manresa Bread co-founder Avery Ruzicka shares her secrets for the most perfect chocolate chip cookie recipe.